What? Did you really think smartwatches are only for adults? Well, nope! Kids these days are not lagging behind at all. It’s not like only adults are allowed to get the blessings of technology (All hail the technology GOD). Back in my day, watches were analog. And they sure had their limitations. You could only tell the time or both time and date (provided your mom bought you one that could do that). But now, it’s completely different. You can’t even begin to imagine all the things kids can do with their smartwatches. A smartwatch can be a great gift to your child. More importantly, with smart watches, you can easily monitor your kids’ daily activity as almost every smartwatch double down as a kids tracker watch. So, yeah! You can most certainly kill two birds with one stone. However, you can very easily end up with a poor-quality smartwatch if you don’t know what you are looking for. That’s where this post comes into play. In this post of Androidista, we will talk about 7 best smartwatches for kids that you can buy for your kids this Christmas. So, without any further ado, let’s hop into it. The following are the top 7 smartwatches you can find for kids anywhere. Do keep in mind that these reviews are not in an orderly manner. However, at the end of this review, I’ll tell you my top 3 picks of the bunch. So, stick together. 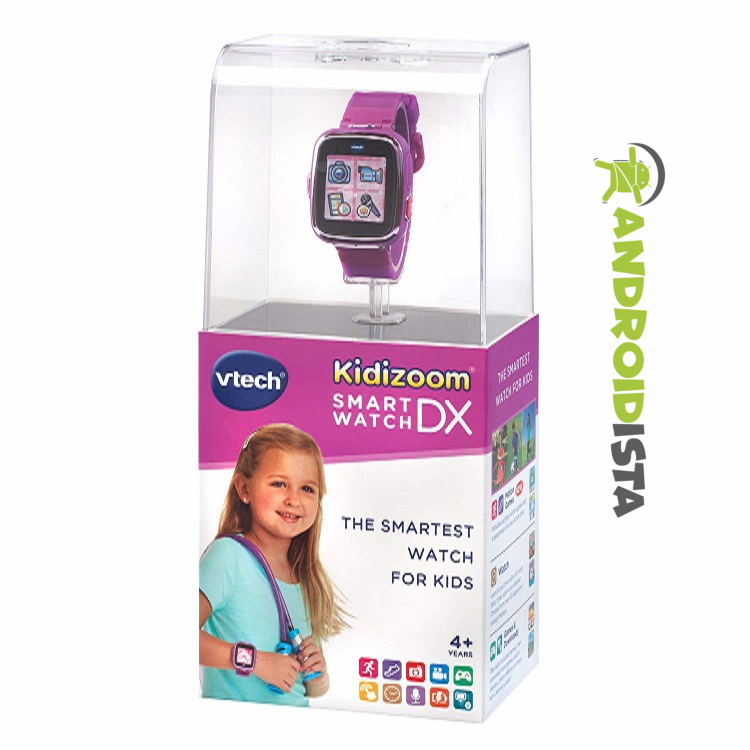 Vtech Kidizoom is more than your typical kid’s smartwatch. It comes with different activities and fun games. Featuring 3 games, 5 activities, and 3 action challenges, this one is definitely on top of the tree as far as smartwatches are concerned. This fun product for great for your 9-year-old who loves to snap photos or take videos while hanging out with friends. And the built-in camera module is not a complete trash either (heck! Even some adult watches don’t feature a camera). Matter of fact it takes decent photos and has enough memory to take tons of photos and videos. It also features alarm, timer stopwatch, calendar, and a basic calculator. Now your kid can solve basic subtraction and addition with ease. I honestly envy kids of this generation. Forget a full-fledged calendar, my analog watch couldn’t even tell what day it is. This watch is also splash and sweat proof. I don’t know about you, but my kid gets all dirty and wet all the time. So, this was definitely a positive thing for me. But we all know kids care about watch faces more than any other feature. They want something new every day. Well, Vtech has got you covered there as well. This watch comes with 50 watch faces with both digital and analog layouts. I can’t even tell you how happy my kid was when she saw this. That did put a smile on my face (Thanos reference. in case you missed it). Like every other smartwatch, this one also comes with a rechargeable Li-ion battery along with a micro USB charger. This cable can be used as a data transfer gateway as well. 1. This watch is easy to operate. 1. Poor customer support. If you ever get into any trouble with the watch, good luck contacting with the customer support guys. 2. Kids can take tons of photos and record videos with it. 3. Included cable works both as a data transfer medium and a charging cable. 4. The fitness games for kids are really fun to play and learn. Would you look at that? Another one from Vtech. I swear to you, I in no shape or form am affiliated with Vtech. They just genuinely make best kids watches. This one like the previous one also features a dedicated camera module. It takes decent photos and videos. And it packs a cool Star Wars photo effect (do you like Star Wars? I most certainly do). It comes with a very bright and vibrant touchscreen. The 3 mini challenge activity is also present here. Kids can testify their skillset via the touch screen and the in-house motion sensor (may the force be with your kids). It also comes with 30 different watch faces. And yes! There are both digital and analog layouts like the previous one. However, one thing this particular watch going on for itself is the cool looking Star Wars watch face. It definitely looks very cool out of the box. 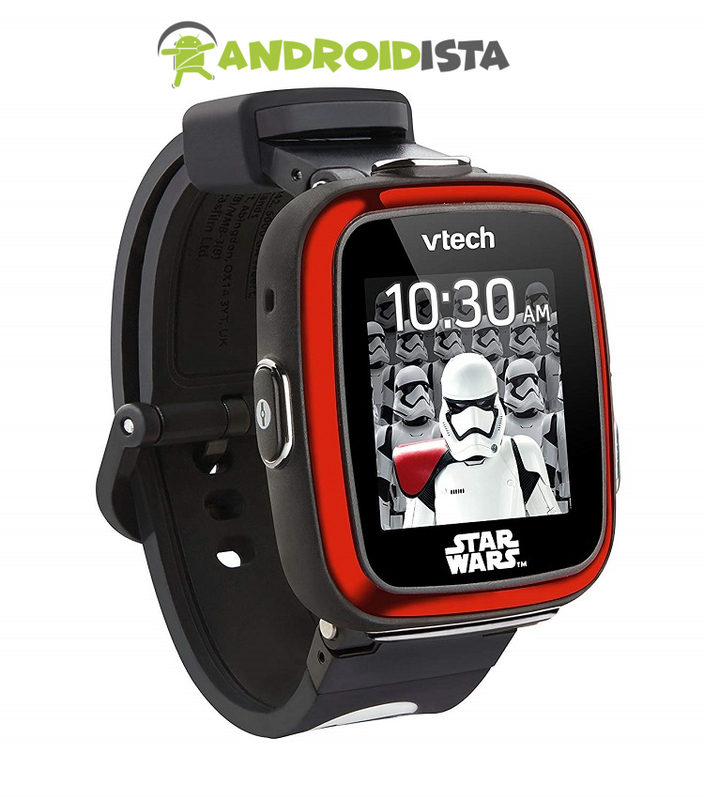 You know what’s even cooler than the Star Wars watch face? The voice recorder with voice changing effects to sound like different Star Wars characters. Yes! Finally, you can also become a part of the Star Wars Galaxy. I almost kept the watch for myself (Not really. But I wanted it so bad). This one also works on Li-ion battery which is rechargeable. The provided USB cable can be used for both as a charger and data transfer cable. You can easily upload or download photos and videos from the watch via the cable. Data transfer rate is pretty decent considering the price of this watch. 1. A dedicated camera module will surely appeal to the kids 1. Highly pixelated display is a definite problem for your kids' eyes..
2. Star Wars aesthetics will surely please the kids and give them a sense of adventure as well(I couldn’t resist myself from including this in the PORS section). 3. 30 different watch faces will provide the kids with something to experiment with. 4. Voice recorder with voice changing effects is a fun addition as well(kids love these kinda stuff). 5. This little watch has great battery life and saves you a lot of bucks as well. Leapfrogs LeapBand is what you call a fit band made for kids only. According to LeapFrog, the more active your kids are the better the growth. Be that physical, cognitive, or motor functionality. And I 100% agree with them. One thing this generation lacks is being active. LeapBand aims to resolve this issue by packing a bunch of fun activities with their smartwatch. It packs a bunch of fun activity. 50 to be precise. And they sure are fun. Jump like a kangaroo, wiggle like a worm, hop like a frog, and Pounce like a like are only a few of them. They have developed a point-based system that keeps your kids active all the time. You have to complete the previous activity before you can move onto the next one (no cheating is allowed). This smartwatch also double downs as a parental control tech. It allows you to set play time, challenges and range. This makes the life of us parents a lot easier. This one is definitely the go-to watch for 4 to 7 years old kids. As at this age range most cognitive and motor skills develop, it’s absolutely paramount that you make sure your kids are very active. I’m not gonna lie. Watching my kid running around the house like a little bunny makes me so happy. More importantly, I know she is within my reach all the time. Highly recommend for parents who have kid/s in the age range of 4-7 years. 1. This is the BEST activity tracker and smartwatch combo for kids according to me. 1. I found additional features a bit underwhelming when going through them. 2. As parents, we can set time limits to prevent kids from overusing this smart device. 3. The makers aimed this product at 4 - 7 year-old kids to help develop their motor skills. Dokiwatch is undeniably different than any other in this list. This one is more geared towards the preteen demographic. However, with the specifications Doki provides with their smartwatches, this can also be a great smartwatch for an early teenager. Doki claims that they are the first one to ever implement video calling on a smartwatch. I can’t speak for them. So, yeah! Don’t quote me on that. However, I simply can’t deny that it is indeed one of the best smartwatches for kids if not the best. It packs everything and all that you might want in a smartwatch. So, what do I mean by everything and all? Let me break it down to you. It features voice calling, video calling, SOS (save our soul) alert, parental control apps, fitness tracker, and a bunch of customization options. It basically a kid’s smartwatch meets kids tracker watch. Now, you might think that’s a bit of handful for someone who’s only a kid. Well, the good news for you is that it’s NOT! This watch was very specifically for kids. We all know that the safety of our kids is the number one priority. That’s why they’ve also included a GPS tracker. It uses a combination of GPS, Wi-Fi, and other sensors to ensure the exact and accurate location of your kid. The OS is of this smartwatch is far superior to any other I’ve ever seen or used. It’s more like kids’ smart watch phone than a standalone smartwatch. Spoiler alert: This watch is my favorite of the bunch. 1. Doki integrated video calling option in their watches. They claim to be the first to do that. 1. Most of the features are a bit too much for kids under the age of 12. 2. It's packed with useful features that our "Soon to be Teen" kids would love. 3. This thing works as a perfect replacement for kid monitoring system. 4. Doki features the best kids watch OS compared to others of this bunch. 5. You can also gift this one to a teenager. Yes, it'll serve kids for years to come. Can we all take a moment and appreciate how cool and classic this watch looks? It looks very similar to an Apple watch and the OS has a watchOS like layout. This one is another one that can be used as a phone to call or send text messages. There’s a SIM card slot where you can put any GSM SIM. You can take pictures, record voice or play music with this watch. This kind of watch is great for kids who are 10 or above. It supports a micro SIM card and a TF card up to 32GB. That’s more than enough for a kid. The SW016BT also features all the bells and whistles you can think of. It comes with a calories counter, step counter, sleep monitor, location tracker, reminder, timer, alarm, calendar, and a very basic calculator. See? Can you think of anything else? The manufacturer of the watch has also made a dedicated Android App. With the app, you can easily perform functionalities like call, music playback, notification check, camera remote etc. You can also find the location of the watch via the app. This works as a location tracker for the parents. However, for IOS users things are very limited as of writing this article. I hope they’d make something similar to the Android app as well. Like all other smartwatches in this list, it also features a big Li-ion battery. The battery life is also decent. If you can’t turn on the watch for the first time, don’t be alarmed. Charge the watch for about two hours and you are all set to go. 1. The design is very modern and sleek 1. IOS version of the app is very limited. 2. SIM card and TF card can be used with this watch. 3. As usual kids can take a bunch of photos and videos with this phone. 4. Makers came up with a dedicated app for both Android and IOS. 5. This watch supports up to 32 GB of external memory. To me it's a bit of an overkill. With “1 Year No Recharge Battery Life,” you can forget about recharging this beautiful watch all together. It is also water resistant at 5 ATM water resistance. So, yeah! Your daughter can absolutely swim while wearing this. However, keep in mind that anything more than 5 ATM might break the watch. Garmin Vivofit comes with a stopwatch, chores tracker, task timer, activity tracker, steps counter etc. Most importantly, it tells you time and everything can be managed with one single function button (easy peasy). All of these are linked with a parental control app (yeah, this is a common feature of brands that care about your kid growing up) that is very intuitive and easy to use. The setup process is also a breeze. Unlike the previous watch, the dedicated app for this one supports both Android and IOS. However, your phone must have at least Android 4.4 or IOS 9.1. But still, it’s at least better than having no support for IOS at all. I’ll be honest with you. At first, I was a bit skeptical about this watch. I thought this was a bit too simple for the money I’m paying. But after a while It all made sense. As Apple always says “If it ain’t broke, don’t fix it”. This one is undeniably one of the best smartwatches for your daughters. It gets a thumbs up of appreciation from me. 1. Beautiful floral finish will attract our daughters and look good on them. 1. Some might consider this to be a bit too simple in design. But it's just the surface of the watch. 2. This one has a dedicated app for both Android and IOS as well. 3. Garmin Vivofit is water resistant for up to 5 ATM. 4. Great build material gives Garmin Vivofit the "Must Have" durability that it needs. 5. Forget about recharging the Li-On battery with "1-year No Recharge" system in place. 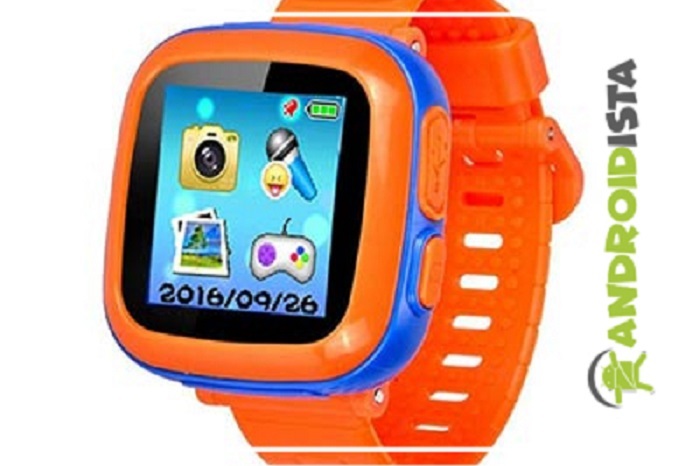 This smart watch is mainly geared towards the educational aspect for your kids. There’re 10 different types of puzzle games. They are funny and educational at the same time. These will definitely help your kids develop better cognitive skills. And yes! you can also limit the daily time they spent on these games as well. There is digital and clockwise dial available. They both can be customized with a different color scheme. It also packs a calculator, timer, calendar, a voice recorder, and an alarm clock. It also supports multiple languages. No matter which language you and your kids speak. CYHT has your backs. It also comes with a camera that kids can use to take a snap while playing. Battery life of this watch is also great. Typically, you get around 5-7 hours of standby time. This is more than enough. Like most other watches, it also comes with a Li-ion rechargeable battery. And the charging cable can be used for both charging and data transfer. It only takes 2-3 hours to charge the watch fully. The UI of the OS is also very clean and colorful. Unlike poorly built kids smartwatches this one has a properly organized UI. 1. CYHT comes with an excellent UI for easy control. It is very Intuitive to use. 1. The display quality is not that great. I mean, it could have been a bit better. 2. Good battery life is always a win in my book. 3. It comes with a lot of educational content (fun and intuitive games for your kids to play). As promised, I’ll now tell you guys my favorites. Before I reveal my top 3 picks, I want you to know I had a very hard time choosing the 2nd and 3rd placers (The first one was very easy to pick). 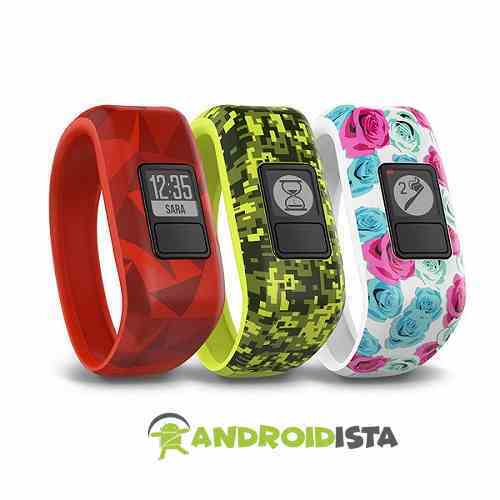 Nonetheless, every single one of the watches definitely among the best smartwatches for kids that you can find online. There you go. These are my favorite ones of the bunch. Regardless of my choices, I’d very much like to know your opinions as well. So, feel free to post your thoughts, feedback, and suggestions in the comment section below. Oh, and if you’re interested, feel free to read my article on 7 Best Android Keyboard Apps as well. Let me know if you have any addition to make on the list. I am exploring some kids smartwatch with camera. Because my kid is around 8 years old and he know, how to use smartwatch with camera. 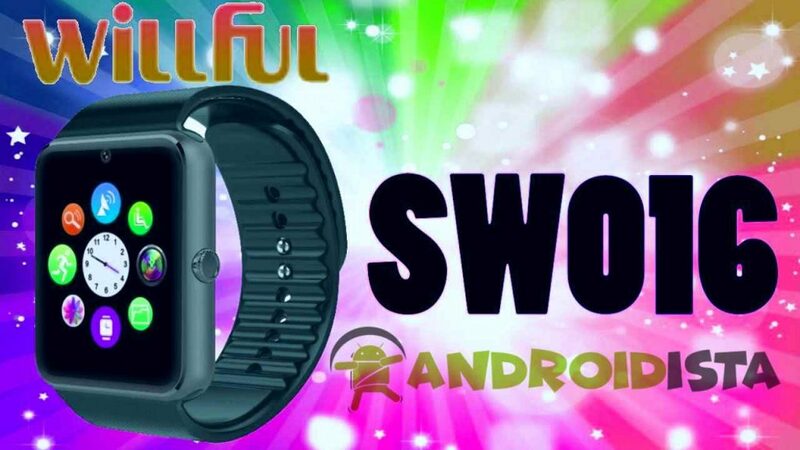 Now I found Willful SW016 BT Smart Watch with Camera. I am going to buy it. Thank you for this article.